Since there are about 800 characters in The Hobbit, the LEGO game has a healthy list of characters to choose from. Confirmed at this point are Bilbo, Gandalf and Thorin, of course, but also the dwarves Fíli, Kíli, Óin, Glóin, Dwalin, Balin Bifur, Bofur, Bombur, Dori, Nori and Ori. Phew! The game will span events in the first two Hobbit movies, with another game to be released that covers the final movie. A special PS3 hardware bundle is also expected to drop this spring, containing a 500GB PS3 along with a copy of LEGO The Hobbit. 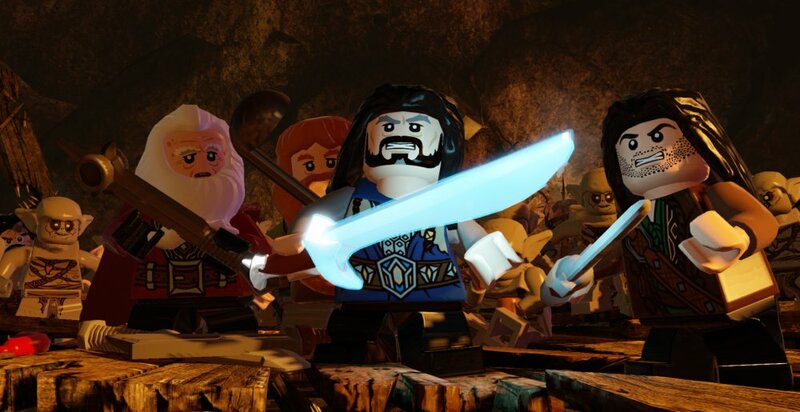 Watch for LEGO The Hobbit on Xbox One, Xbox 360, PS4, PS3, Vita, Wii U, 3DS, PC and Mac in the second week of April. It will support local co-op for two players. Page created in 0.4892 seconds.